In this week’s Spot, Sadhguru explains why there is no mantra sadhana at Isha. “It is not that they are bad, but they are a substitute — you are trying to create a reverberation by uttering sounds. We will create any kind of reverberation we want without uttering a sound. That is the essence of my being.” Enjoy! 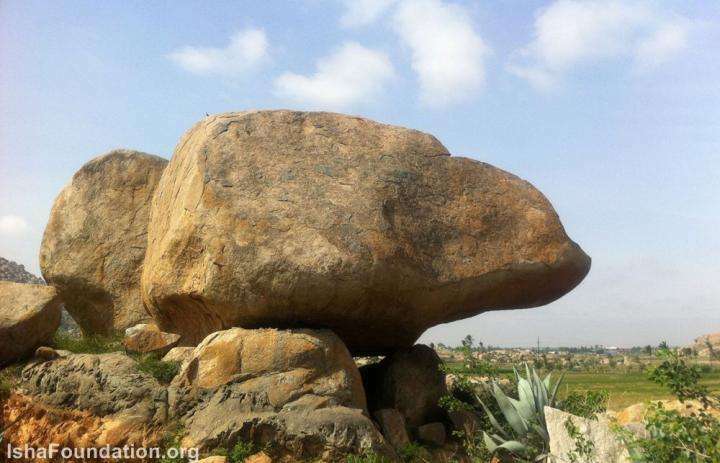 In Isha, mantras are used mainly to keep people together and to create a certain energy around. But there is no mantra sadhana here. Only the brahmacharis are doing certain things for a different reason altogether. But as a spiritual process, there is really no use of mantras. Even during the Dhyanalinga consecration, which is the most complex thing we have ever done, there was no mantra. Only a small usage of mantra was there to keep people together and involved, and to create a certain aura around. But for the fundamental process, there was no mantra – it was done as a pure energy process. Right now, this is the time when you must enjoy that. We can sit here and blast it out; you must learn to drink it. This is not the time for you to sit and chant mantras. If none of you get ready to any worthwhile dimension, then one day mantras will happen. It is not that they are bad, but they are a substitute -- you are trying to create a reverberation by uttering sounds. We will create any kind of reverberation we want without uttering a sound. That is the essence of my being. Mantras irritate me a little bit because you are trying to do things from the backdoor. Not that it does not work at all, it does work, but why would you choose a backdoor entry? When you have lost access, then maybe you have to climb through the window. But if you can open the main door and walk through, that is the best way to go. Mantras have their beauty, there is no question about it, but there is nothing bigger than silence. Mantras have their beauty, there is no question about it, but there is nothing bigger than silence. There is nothing bigger than the fundamental force of consciousness within ourselves. When you do not know how to do it, then we will start using conducive sounds which can do things, but it is not comparable to what your consciousness can do. No sound, no external method that we employ is comparable to the fundamental source of creation which is throbbing within you. If you know how to allow this to find expression, why would you sit and chant something? If the situation we want to create is more stringent, then we may chant the entire day, but still, chanting is not the fundamental process. It is only being used as a preparatory step. Some of you must stand up to make sure that mantra will never become the main process in Isha Yoga Center. This is the responsibility of the future generations. Do you want to let your consciousness fly or sit here and chant mantras through the day? Mantra is a beautiful preparation but if you want to use it as a path, then it is an elaborate process. The advantage with mantras is that you just have to become a tape recorder and it will work. The beauty of consciousness is that you don’t have to do anything in particular – but if you don’t do anything, it won’t happen. This is not a trick. You don’t have to do anything in particular. If you do everything like it is the last and only thing you are going to do in your life, if you do everything as if your very life depends on it, you don’t have to do anything in particular. All that has happened to you is that you have built too many layers of protection and become a constipated existence. Some of you must stand up to make sure that mantra will never become the main process in Isha Yoga Center. Life essentially exists because of its ability to respond. Such a complex life, but if just a simple movement of air stops, it is gone. This ability to respond is the simplest thing, but it is the most fundamental thing. It is not just about the breath, in a million different ways right now, you are responding. In more ways than you will ever imagine, you are responding to the entire cosmos. If this response stops, that is the end of this. If you become a certain sense of abandon within yourself, you do not have to do anything in particular. Not by doing crazy things, but simply by seeing that nothing is held back within you. Then, it will simply happen because all that it needs is a conducive atmosphere. A conducive atmosphere means that which is not constipated or restricted. The walls of self-preservation and self-protection that you build are also the walls of self-imprisonment. Most people take a lifetime to realize this, unfortunately. May you know the transcendent nature of transaction of the individual with the universal. He means that the walls that you can put up, we can put up can create unconsciously us to be alone. Without trusting yourself to handle any situation given to you, you can find yourself reclusive and withdrawled. 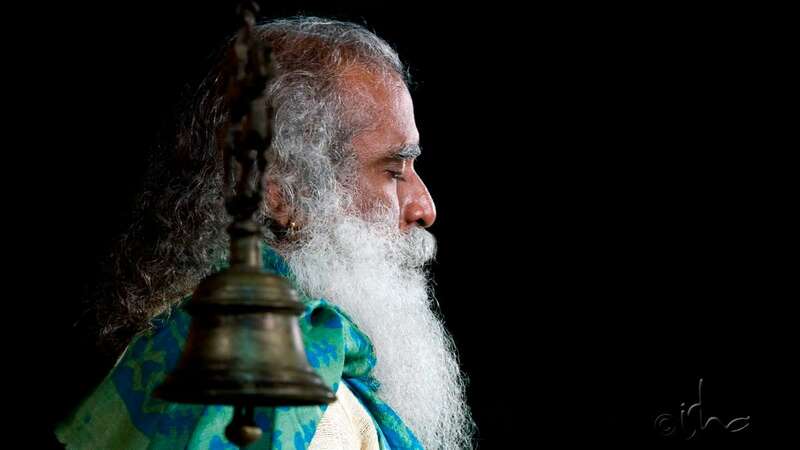 Need your grace to experience that silence, Sadhguru! 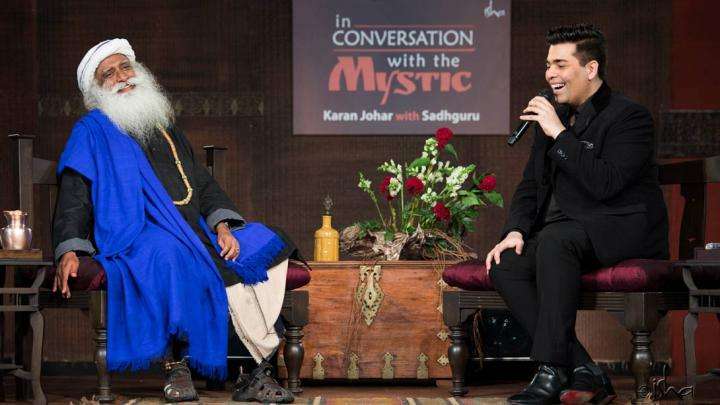 Thanks for your guidance and insight Sadhguru. Greetings from México city. Sadguru is a teacher and so far from his consciousness he can say that there is no use of Mantra in experiencing internal peace. Mantras are the scientific medicines given by our ancestors to heal different diseases of human body mind and soul... western world is very much anxious to learn it and included it into the syllabus of some research program. its our duty to make the youngster understood its essence and pragmatic relation with internal growth. for internalization and spiritual growth and peace we don't want anyone's guidance and suggestion because nature mother will guide us to reach us at the supreme soul. it may take thousand incarnation. but the worthy assets received by us through inheritance should not be undermined in anyway by anyone. Beautiful, as always ! I do not see a conflict anywhere. 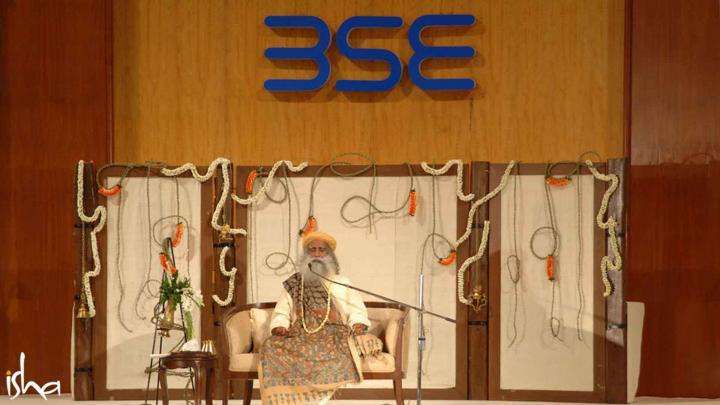 Sadhguru clearly says Mantra serve purpose at one level, Silence serves purpose at another level. What level we belong depends upon the state of our mind. All the states are fine. Pranams Sadhguru "Brahmananda swaroopa" ? What does he mean by ,"The walls of self-preservation and self-protection that you build are also the walls of self-imprisonment. "?